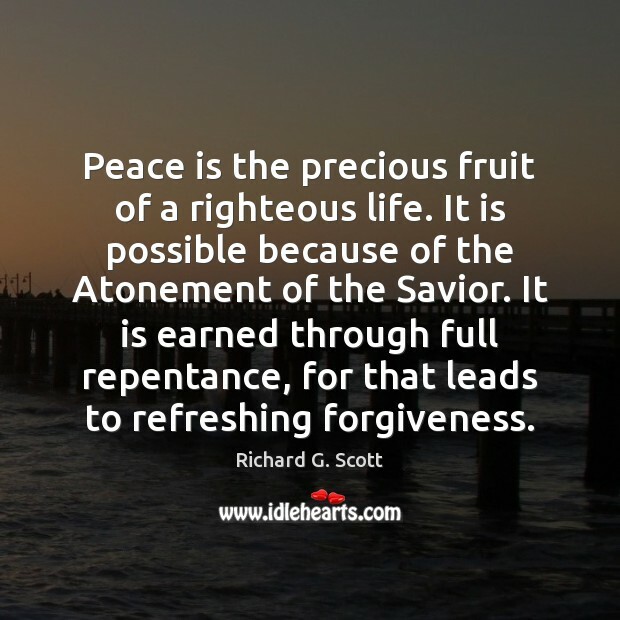 Quotations about Atonement. Quotes to stimulate mind and drive action! Use the words and quote images to feed your brain inspiring things daily! 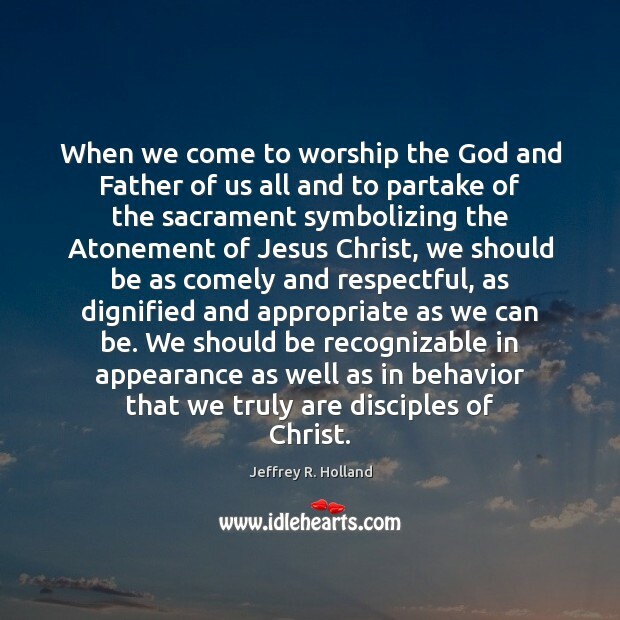 When we come to worship the God and Father of us all and to partake of the sacrament symbolizing the Atonement of Jesus Christ, we should be as comely and respectful, as dignified and appropriate as we can be. We should be recognizable in appearance as well as in behavior that we truly are disciples of Christ. Karma means that all actions have consequences. 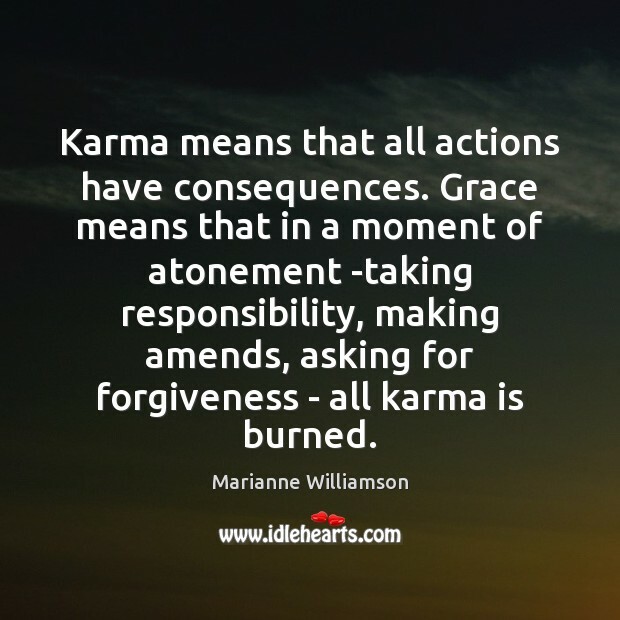 Grace means that in a moment of atonement -taking responsibility, making amends, asking for forgiveness - all karma is burned. 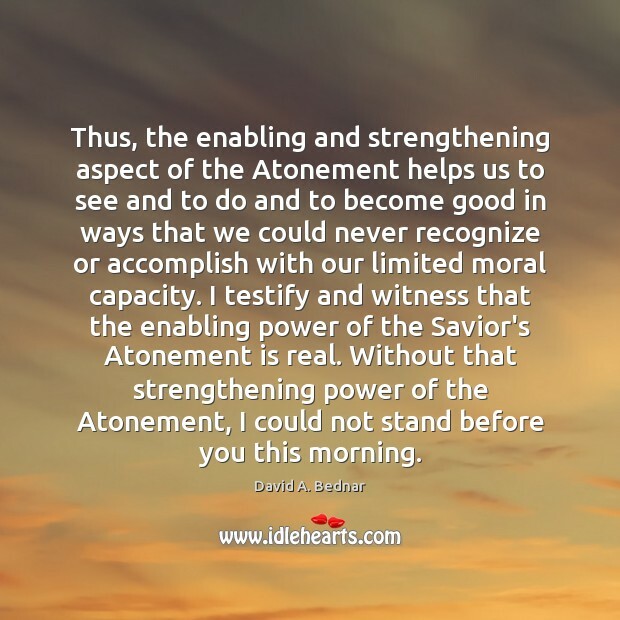 Thus, the enabling and strengthening aspect of the Atonement helps us to see and to do and to become good in ways that we could never recognize or accomplish with our limited moral capacity. 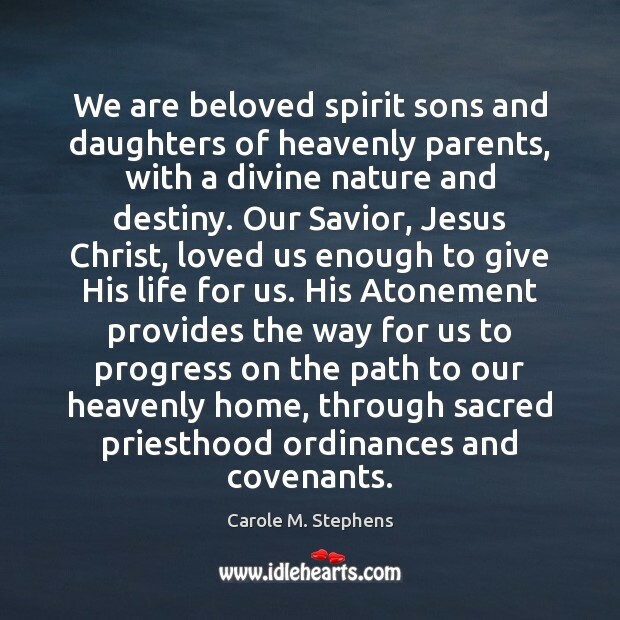 I testify and witness that the enabling power of the Savior's Atonement is real. Without that strengthening power of the Atonement, I could not stand before you this morning. 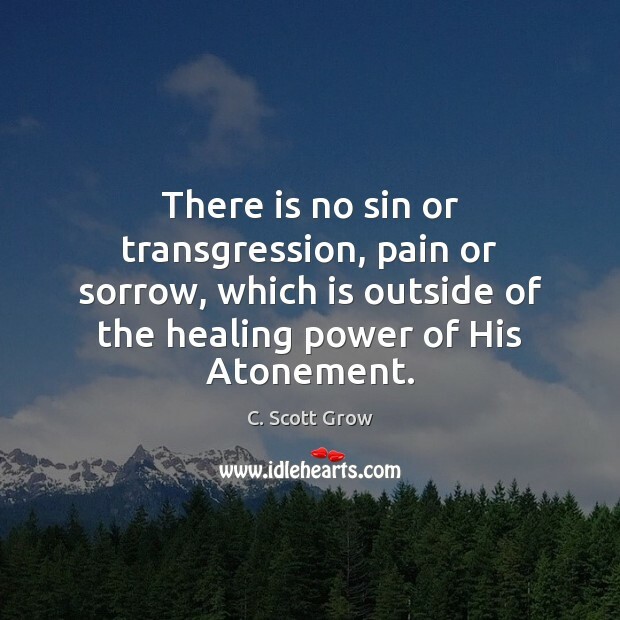 There is no sin or transgression, pain or sorrow, which is outside of the healing power of His Atonement. 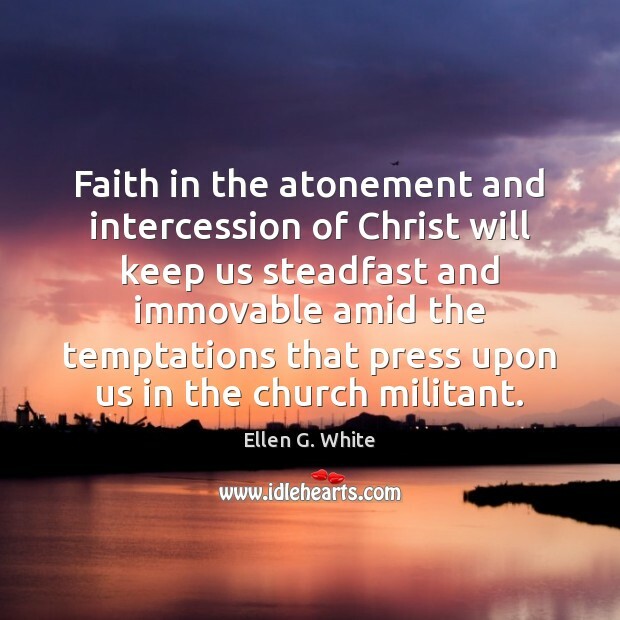 Faith in the atonement and intercession of Christ will keep us steadfast and immovable amid the temptations that press upon us in the church militant. The Savior's suffering in Gethsemane and His agony on the cross redeem us from sin by satisfying the demands that justice has upon us. He extends mercy and pardons those who repent. 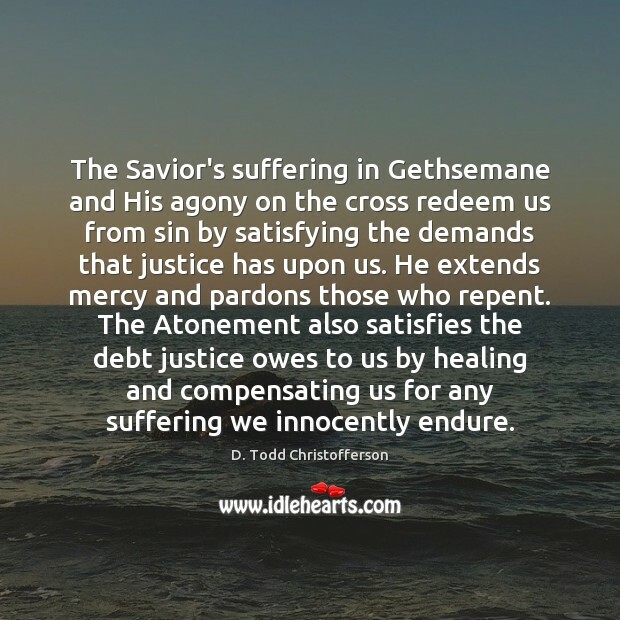 The Atonement also satisfies the debt justice owes to us by healing and compensating us for any suffering we innocently endure. 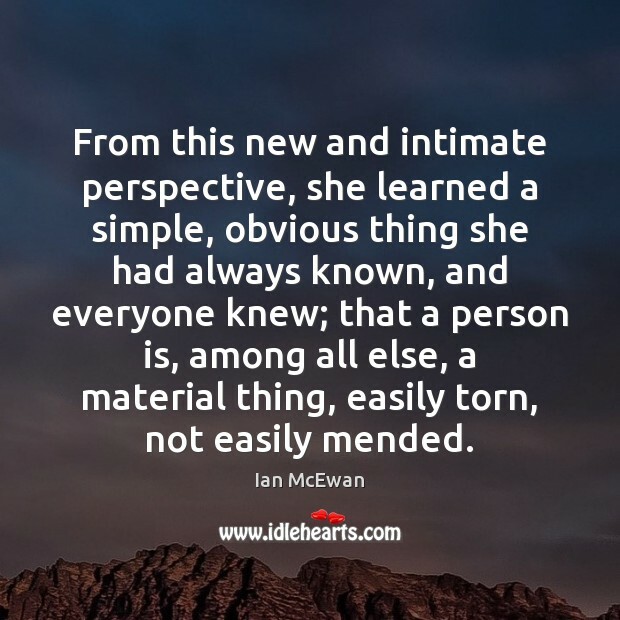 Through His Atonement, He heals not only the transgressor, but He also heals the innocent who suffer because of those transgressions. 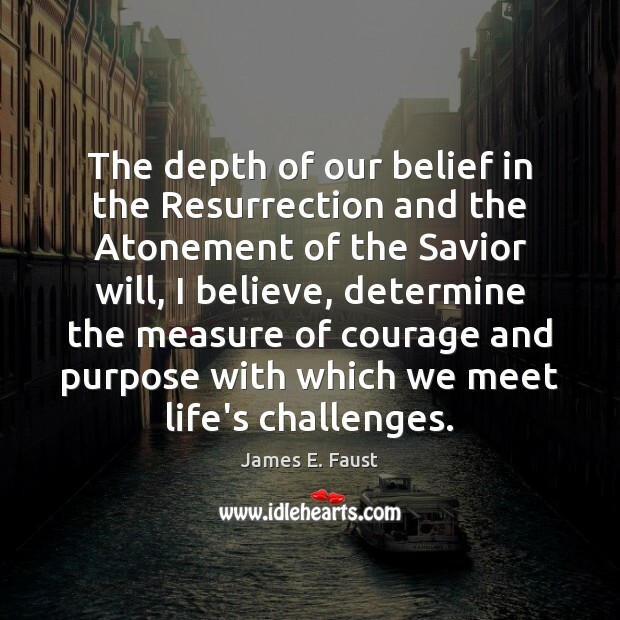 As the innocent exercise faith in the Savior and in His Atonement and forgive the transgressor, they too can be healed. 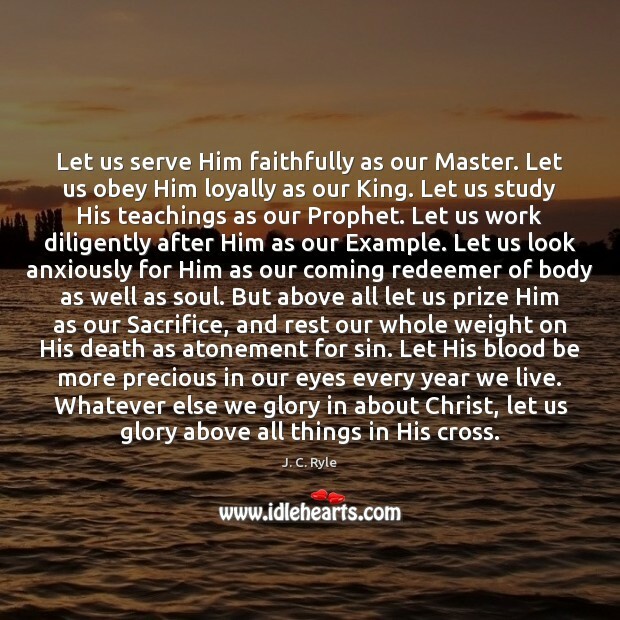 Let us serve Him faithfully as our Master. 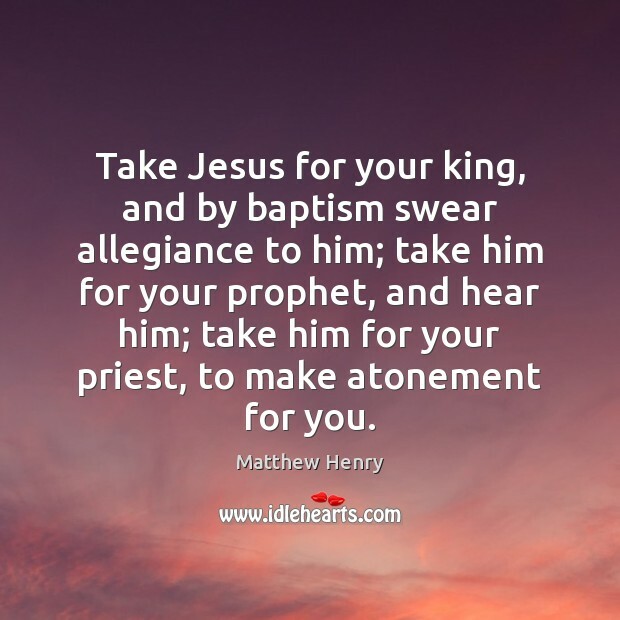 Let us obey Him loyally as our King. Let us study His teachings as our Prophet. 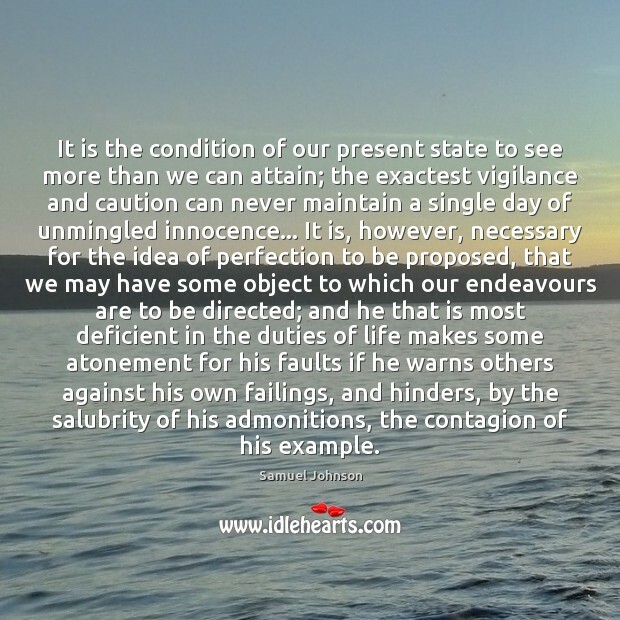 Let us work diligently after Him as our Example. Let us look anxiously for Him as our coming redeemer of body as well as soul. But above all let us prize Him as our Sacrifice, and rest our whole weight on His death as atonement for sin. Let His blood be more precious in our eyes every year we live. 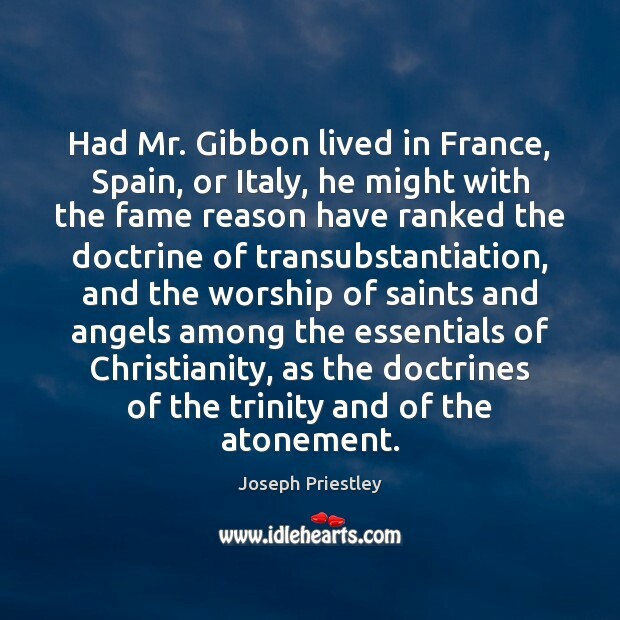 Whatever else we glory in about Christ, let us glory above all things in His cross. When I was younger, I would mess about and have a laugh with everyone. 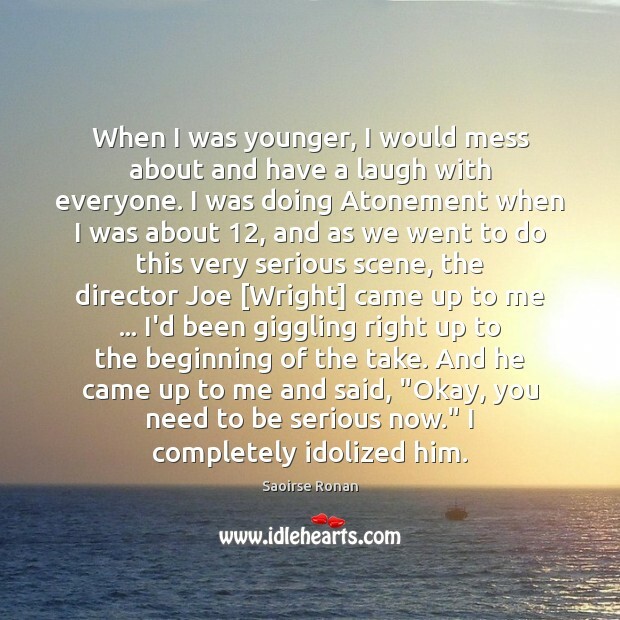 I was doing Atonement when I was about 12, and as we went to do this very serious scene, the director Joe [Wright] came up to me ... I'd been giggling right up to the beginning of the take. And he came up to me and said, "Okay, you need to be serious now." 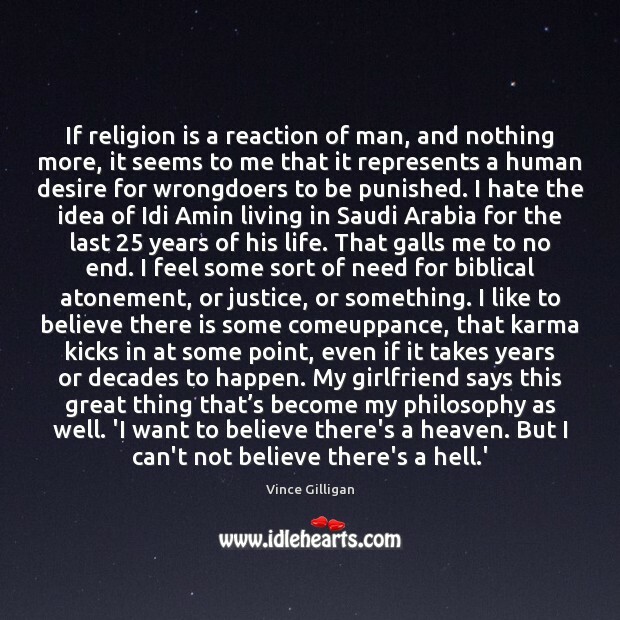 I completely idolized him.